Technological advancements over the past few decades have seen the creation of an entirely new type of currency that exists in the virtual world. But while digital currencies such as bitcoin are convenient for ordinary people wanting to make safe and anonymous payments online, there is significant potential for criminal application – particularly when it comes to global crimes like terrorism funding and money laundering. In this article, we examine how the Australian criminal courts have been treating the use of Bitcoin. Bitcoin is a virtual currency based on a decentralised peer-to-peer network. It is not administered or controlled by a central banking or government authority. Instead, transactions take effect between users directly and are verified via the blockchain. The blockchain is a distributed public online ledger that records and publishes all Bitcoin transactions. It is managed by a network of peers. Users download a Bitcoin wallet to receive, store and send Bitcoins. They can then be used to purchase goods or services and can be exchanged for conventional currencies. Bitcoin accounts are not linked to information personally identifying the user. This anonymity invites criminals to use Bitcoin to purchase and supply illicit drugs, finance terrorist activity and launder money. 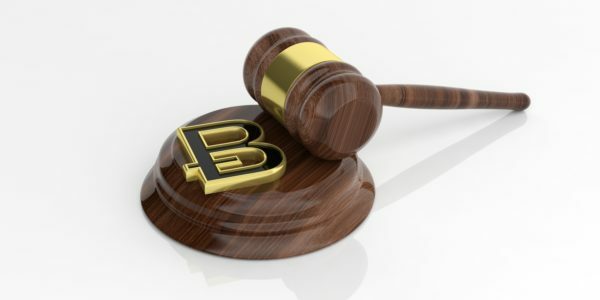 Despite an unclear regulatory framework, the courts agree that Bitcoin is legal. The following cases demonstrate how the courts view the use of this digital currency. In R (Cth) v Daniel Peter MEAD  NSWDC 1, Mr Mead had purchased steroids online from suppliers in China using the dark net, Bitcoin transactions and false identities. Mr Mead was charged with importation, supply and possession of a prohibited drug, identity offences and dealing with proceeds of crime. In order to realise Bitcoin currency, Mr Mead used the Bitcoin BPAY facility to transfer proceeds into various bank accounts. In assessing the seriousness of Mr Mead’s offending, Judge A Haesler SC of the District Court of NSW considered the sophistication involved in disguising money transfers and profits. His Honour noted that transferring unregulated funds into and out of the community undermines legitimate businesses and our economy, and harms our tax system. The case of DPP v Millar  VCC 1883 involved the purchase of drugs online using Bitcoin as payment. Mr Millar had deposited cash into a bank account in the name of a proprietary company then transferred Bitcoin currency into his Bitcoin wallet. Judge Wilmoth of the County Court of Victoria recognised the legality of Bitcoin, but noted the possibility for anonymous trading of drugs. Her Honour also noted the level of sophistication involved in Millar’s scheme. 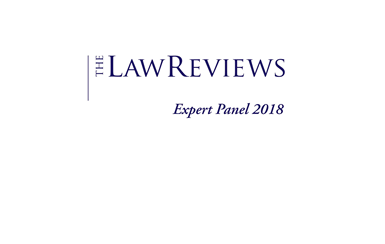 The decisions of R (Cth) v Daniel Peter MEAD and DPP v Millar highlight the court’s attitude that the use of Bitcoins appears to augment the objective seriousness of the offending. The use indicates surreptitious activity and a desire to conceal funds. In these two decisions, the courts appear to frown on the anonymity of Bitcoin. Another decision involving the trafficking of drugs is Pollard v The Queen  VSCA 138. Mr Pollard had trafficked drugs using the former dark net website Silk Road. He was found to possess Bitcoins with a value in excess of $700,000 suspected of being proceeds of crime. The Supreme Court of Victoria Court of Appeal noted Mr Pollard’s sophisticated business model, but did not discuss in any detail his use of Bitcoin. In DPP v Ragauskas  VCC 1232, R v NE  ACTSC 352 and DPP v Gould  VCC 322 the offenders had imported drugs online through the dark net using Bitcoin as payment. In sentencing the offenders, none of the judges placed any weight on the use of Bitcoin involved in the offending. This may have been due to the lack of sophistication involved in the offending. These cases highlight that so far, the Australian courts have treated matters involving digital currencies somewhat differently. In some decisions, the use of Bitcoin appears to have aggravated the seriousness of the offending, whereas in others, it does not appear to have featured as a relevant factor. To date, the courts have had relatively few criminal cases involving the use of Bitcoin or other digital currencies. However, as the popularity of online currencies grows, it is likely that the court system will increasingly see matters where Bitcoin is involved, either peripherally or centrally.